ThirstyAffiliate is best Affiliate plugin for marketers. The basic plugin is free & paid addon makes this plugin a powerhouse to increase affiliate sales. Amazon addon is superb for anyone who is part of Amazon affiliate program. Easy to use & right on budget. A must buy! Are you a blogger who is looking to make money from Affiliate marketing? Have you found the best Affiliate link management WordPress plugin that also helps you increase your sales? The majority of bloggers & newbie affiliate marketers are unable to make huge with Affiliate marketing due to lack of optimization. The optimization of an affiliate link is easy when you are using the right tool. Today I will let you know about a free WordPress affiliate link management plugin that comes with amazing add-ons to let you make more money from Affiliate marketing. The Thirstyaffiliate plugin is free & you can download it from WordPress plugin repo here. This Affiliate link management plugin comes highly equipped with features to increase your affiliate sales. Along with that, there are many advanced features that is also available, which I have mentioned below. 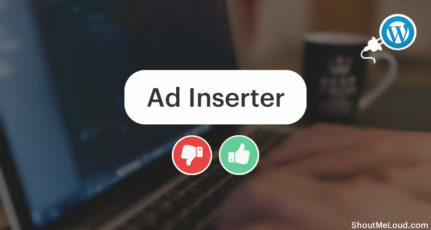 In this post, I’m reviewing this plugin & will also share some of the useful add-ons which are available. Once you have downloaded & installed the plugin, go to ThirstyAffiliate plugin settings. This is where you will be doing the one-time setup of all major features & after that your work of adding a link is pretty easy. Once you have configured the general settings, click on Save all changes. 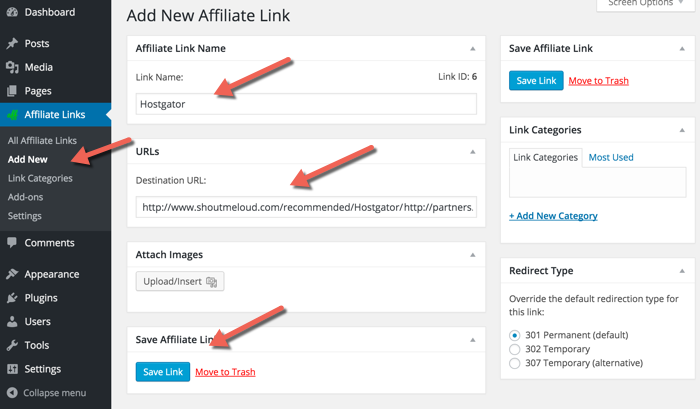 The second method which is adding affiliate links from the post editor section is more convenient & easy. Go to add new post & there you will have an icon to either search and add an existing cloaked affiliate link or you can cloak a new link. This is one feature which will make you ditch any other free Affiliate link Cloaker plugin you are using. We all know at times, good images gives better CTR. Using ThirstyAffiliates, you can also add an image instead of a normal hyperlink. When you are cloaking a new link (See the add new affiliate link image above), you will also get an option to add image. Next time you can add a link as a hyperlink or as an image. I’m sure smart bloggers can imagine how effective a good banner ad would be for their affiliate sales. After using this plugin, I feel so sorry that why I was using any other plugin for so long. Since this offers features which can easily increase affiliate sales. Anyways, it’s better late than never. Apart from above features, this plugin also supports shortcodes. I haven’t used this feature in detail, so can’t comment much on it. For now, let’s have a look at some of the notable add-ons available for this plugin. 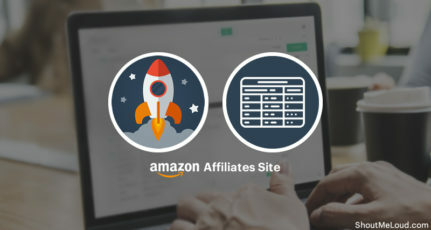 I suggest you to get at least few of the add-ons especially if you are using Amazon affiliate program or any hosting affiliate program where you need to direct users to special landing page based on their location. 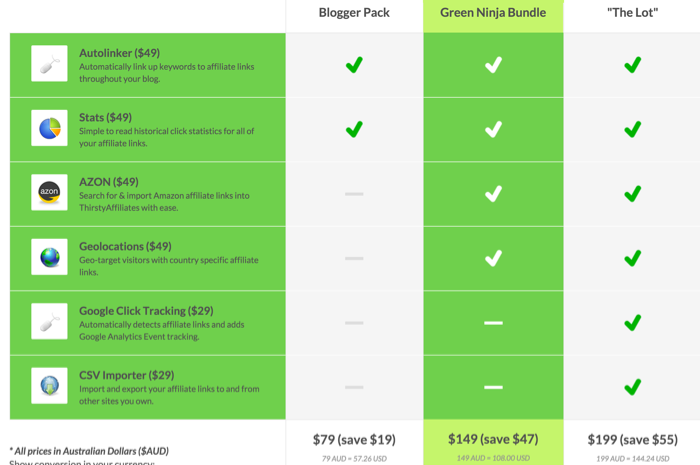 At the time of writing this review post, they have about 6 add-ons that you can buy in a bundle or separately. 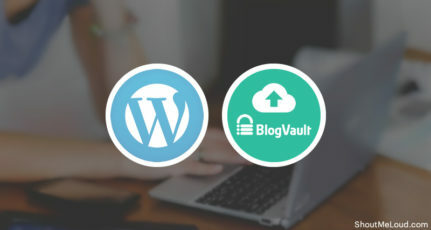 I’m sharing information about few of those add-ons which made me switch my existing WordPress affiliate plugin to this one. This one you may or may not need but for me it’s essential. Since I was using Gocodes plugin which is now gone, moving all my affiliate links from old plugin to new was a big task. With CSV importer, moving all of my 200+ links was easy & within minutes I moved away from my existing affiliate plugin to ThirstyAffiliates. This one is need of the time as all popular web-hosting companies including Bluehost & Hostgator now redirect users to country-specific URL. Because of this, many of us miss out on sales & we can’t do much about it. If you are using Bluehost Affiliate program, I’m sure you must have noticed that a user clicking the link from India is redirected to Indian Bluehost site. With Geolocation add-on, the plugin will detect the user location & redirect them to the specific site of your choice. This is pretty useful for Amazon affiliates as well. This one is my favorite as this would ensure I earn more from the Amazon affiliate program. Do you know when you add an Amazon affiliate link fro U.S. store & users go to U.K. or Indian store, you don’t get the affiliate commission? With Azon addon, you can import amazon affiliate link from WordPress dashboard & it supports all major Amazon store. With the combination of Geolocation addon, your reader would be redirected to the store based on his country location. In short it makes it easy for you to add Amazon affiliate links & also to make more money from Amazon affiliate program. Also, look at EasyAzon4 plugin for dedicated Amazon WordPress plugin. There are more add-ons that are useful like Stats, Google Analytics integration & Auto-linker. In the upcoming series, I will share how to use specific addon of this plugin & moving your existing Affiliate links to ThirstyAffiliates. 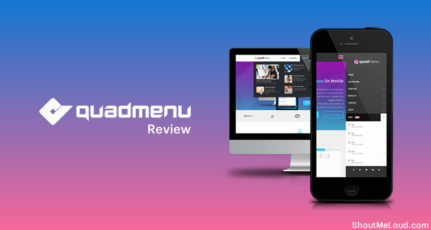 For now, I would like to know your review of ThirstyAffiliates WordPress plugin. Do share about this plugin & offer with your blogger friends. Really very informative post. Thanks for sharing as I am new for all this, I learned a lot. Thanks Harsh for the detailed post on ThirstyAffiliates – I’ve been looking into using them on my site. I never mentioned this in Harsh’s blog post comment section but if you are using the Genesis Simple URL’s plugin and want to use Thirtsty Affiliates plugin, you are out of luck in regards to exporting your affiliate links from Simple URL’s to Thirsty plugin. I tried to work with there support but do to StudioPress’s poorly created plugin, there was no option. What I learned from this experience was that I should of made my editor do this and not me, do all of this as I am a few days behind in doing this for the blog. Hello Sir, I want to know which one is the best SEO plugin for wordpress. Could you please guide me ? Thanks. You can use SEO by Yoast Plugin. Just activated them on my Blog. Thanks a ton! Harsh. I’m a newbie in blogging. I just wanted to know that are we really allowed to cloak or shorten Amazon affiliate links? It states that we are not allowed to cloak or shorten their URL. Thank You Harsh sir. The articles you post are really helpful for beginners like me. Can I cloak my Affiliate Links on already existing products on my site? Yes, you can & you should. This would help you track the performance. Really thanks for this post. I think I have to grab this plugin now before Cyber Monday ended. Have read many reviews, so now time to buy.